Portland Fashion Week is excited to announce our latest partnership with Remote.ly! In our mission to revolutionize the fashion industry, our team stays green and works hard. Creativity is our jam, and whether we are hosting an event or continuing our educational outreach, we could not have asked for a better partner! 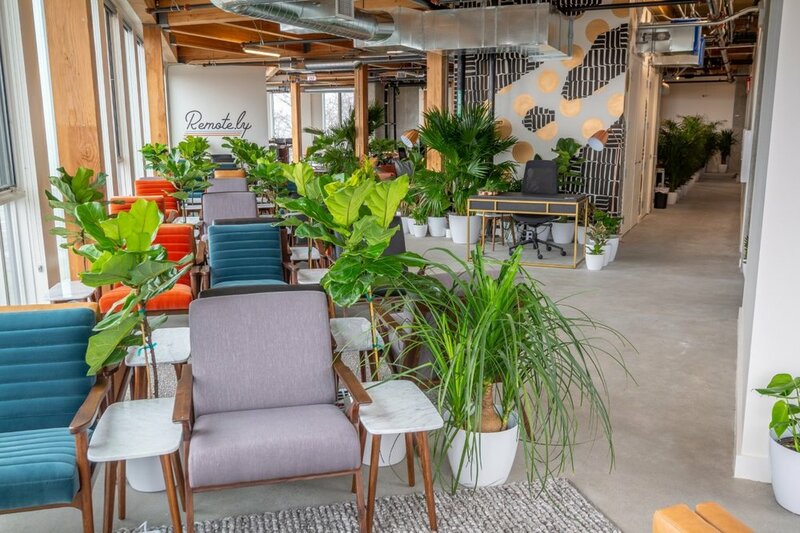 Founded in our beautiful city, is a commitment-free workspace packed with greenery, featuring the stunning views of Portland and a space flooded with natural light. With a free, in-house barista and guaranteed seating/outlets, Remote.ly solves isolation and workspace issues that many start-ups, small companies, and remote workers experience on a daily basis. the entire 6th floor smells of tropical greenery and is so refreshing! just a small portion of their stunning 240 degree view of the city and Mt. Hood! A revolution to their industry, Remote.ly stays green like we do! Whether they are promoting biking to work with their in house bike storage or serving out of ceramic mugs to cut down on paper and plastic waste, Remote.ly and PFW have a shared vision in sustainability and keeping Portland pretty! Stay tuned for event announcements that we will host in our amazing new space, and learn more about their amenities and pricing for your own business. As for me, I will be writing away in my new shared office space, happily caffeinated and surrounded by the camaraderie of other creatives! Cheers!